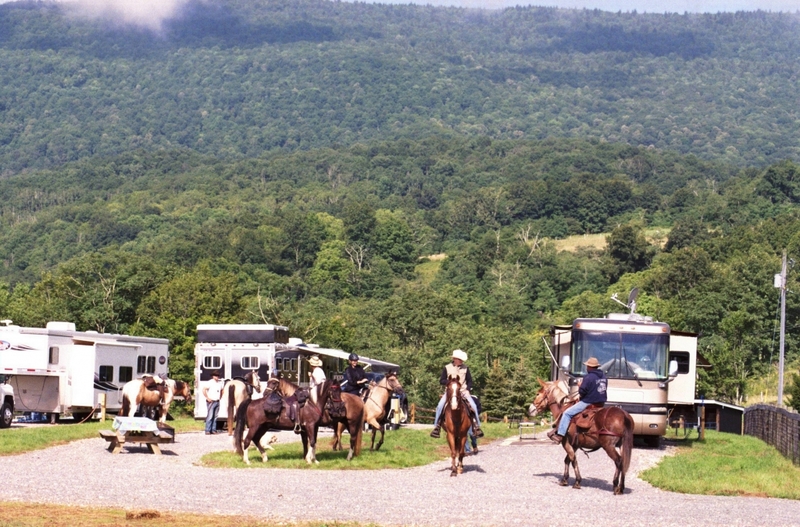 Cabins Abbey and Trackside each have a campsite nearby, offering guests the option of having some riders in the cabin, and friends in the campsite at a reduced rate of $50 a night. Three additional campsites are situated on the parcel of land which includes Little Shalimar. The house has a pasture and run-in shed; the campsites also have water, electric power, and a run-in shed. There is no dump station for campers. Campground rates are $75 a night. Contact Us for more information about our campsites.